VELA Blues is the optimal solution for electric wheelchairs for the combined indoor and outdoor use. VELA Blues 100 is a small, compact power chair for active adults and children with limited mobility and special needs – for indoor use at home, at school or at the workplace. VELA Blues 100 combines optimal ergonomic seating systems with optimal driving properties and manoeuvring – ensuring comfort and mobility for the user. 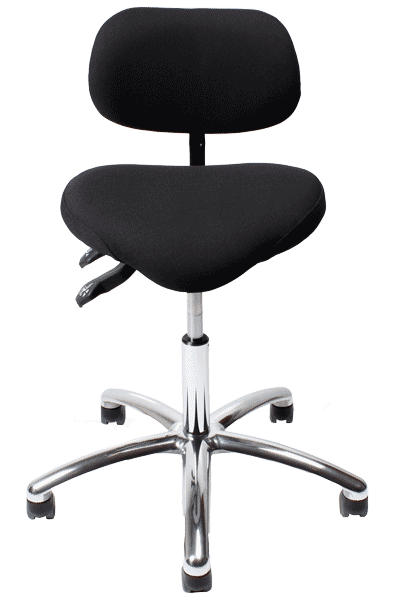 It is the most compact chair in its class and is well suited for environments with limited space. VELA Blues 100 is available in different models and includes a number of adjustable features as well as a wide range of accessories. It may therefore be tailored to suit the needs of each individual user. 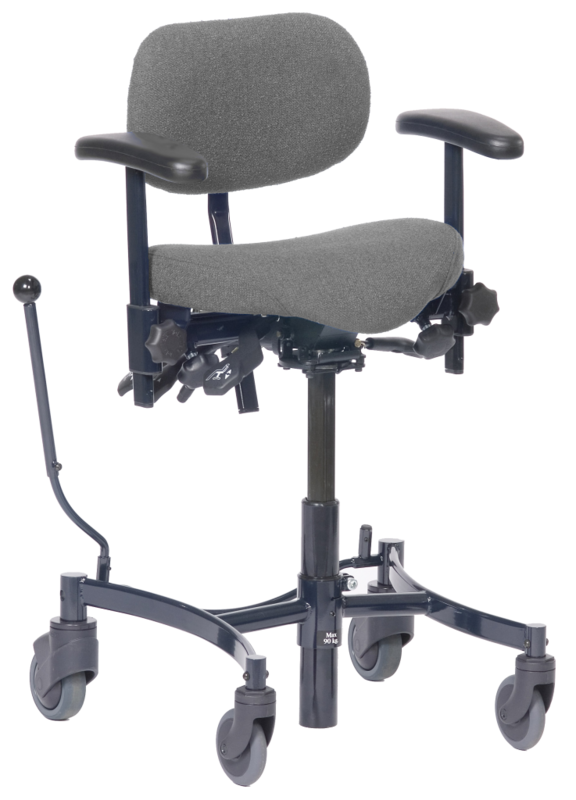 The VELA Blues 100 standard model is delivered with a height-adjustable work chair seat and back – a large selection of work chair seats and backrests are available too. 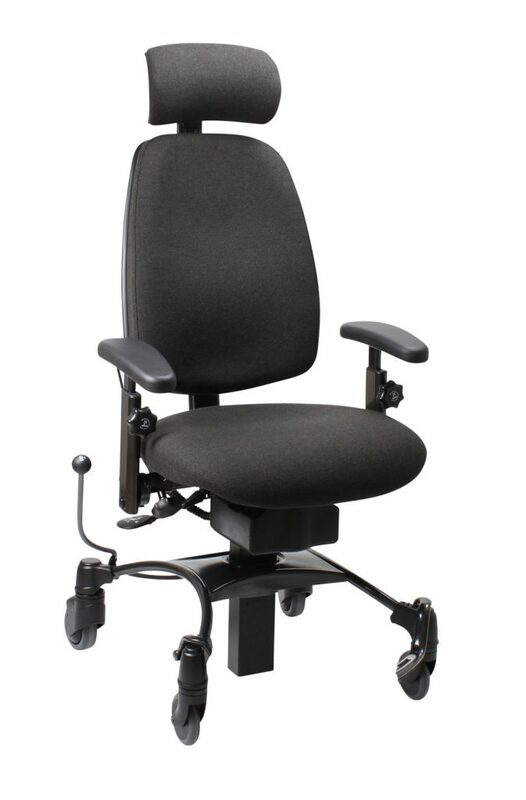 The standard model has a manual backrest adjustment, height adjustable armrests and swing away leg rests. 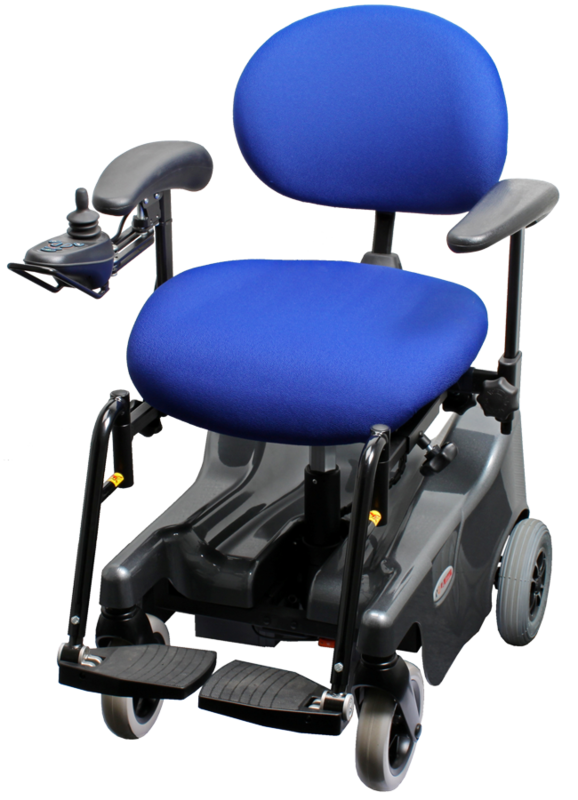 For improved sitting comfort and support, VELA Blues 100 may be fitted with a SW seat and backrest, and when combined with the height adjustment, tilt-in-space function and adjustable backrest, this turns the chair into acomfort chair for indoor use. For children, VELA Blues 100 may be supplied with a Hip Hop seating system adapted to the needs of the child and suitable for home and school use. Safety: The chair is stable and easy to drive. If required, it may be fitted with a crash test kit to meet the requirements for using the chair as a car seat. Top quality and design: The design focuses on ergonomics, safety and VELA’s high quality standards. Moreover, Blues 100 has been developed to comply with all applicable requirements and standards. Contact us for further information about VELA electric wheelchairs.